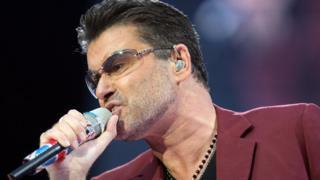 Pop star George Michael has topped the UK album charts, 10 months after his death. An expanded version of his second solo album, Listen Without Prejudice Vol 1, beat Niall Horan and Pink to become the week’s best-selling record. It means Michael’s album has spent two weeks at number one, 27 years apart. But CD sales have collapsed in the meantime. In 1990 the album sold 423,577 copies to top the chart. This week, it shifted just 56,000 copies. Nonetheless, Michael was 30,000 sales ahead of Pink, his nearest rival, whose Beautiful Trauma album fell one place to number two. She overtook Horan, whose debut album Flicker had been number two in the midweek sales update. The Irish One Direction star ended up at number three instead. In the singles chart, Post Malone celebrated a fourth week at number one with his breakthrough track, Rockstar. He held Camila Cabello’s Havana at bay for a third week, outselling the former Fifth Harmony singer by just 5,000 copies. Mysterious DJ and producer Marshmello – who keeps his identity a secret – looks set to challenge both artists next week, after his song Silence rose from nine to three. Cabello could also see a boost after releasing the video for Havana on Tuesday. Filmed as an campy, old-school Spanish soap opera, the clip has already been watched 21 million times. Ed Sheeran’s romantic ballad Perfect also returned to the Top 10, rising four places to number seven. It initially charted at four when his album, Divide, was released in March. Taylor Swift claimed this week’s highest new entry with Gorgeous at number 15, while Rita Ora returned at 20 with her new single, Anywhere. Liam Payne’s Bedroom Door debuted at 28, while Krept and Konan’s collaboration with Stormzy, Ask Flipz, was a new entry at 30. Listen Without Prejudice Vol 1 was re-released last week to coincide with a new TV documentary about Michael, titled Freedom. Featuring the singles Praying for Time and Freedom 90, it outsold his debut album in the UK but was a relative flop in America – something Michael blamed on a lack of support from his US label. In 1992 he took Sony to court, alleging they treated him as “no more than a piece of software”. He eventually lost the case, but it kept him away from music for five years and permanently affected his career in the US. In Freedom, the documentary he was working on shortly before his death on Christmas Day 2016, the star said he regretted the legal action. David Austin, Michael’s former manager and childhood friend, said he was “incredibly proud” to see Listen Without Prejudice return to the top spot.